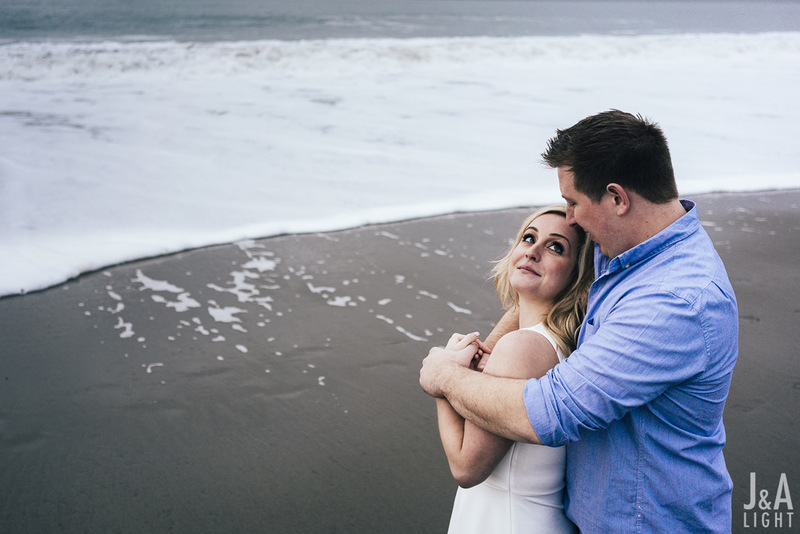 From the moment we met Shannon and Chris at the local Daly City hang, 7Mile House, they felt like old friends. There was just great degree of innate compatibility between us, but it’s also hard to imagine anyone not getting along with them. 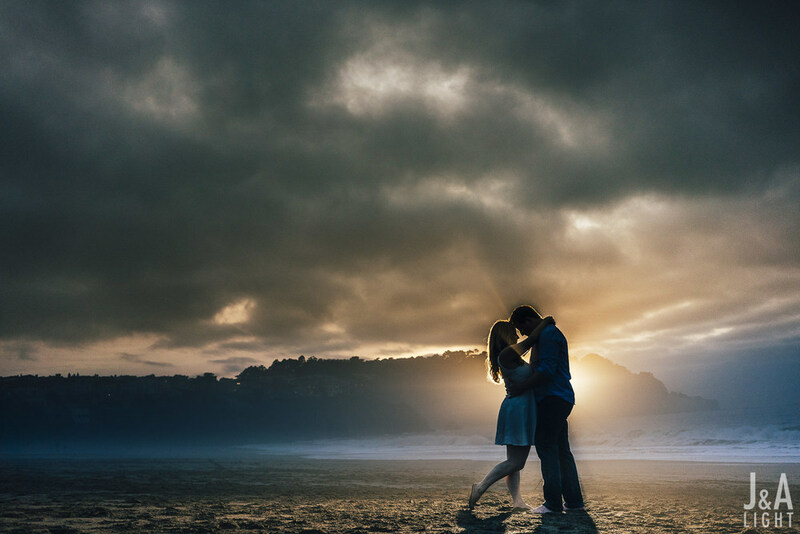 As a couple, they exude an uncommon warmth that makes them imminently approachable and just a great hang. From that first meeting over drinks and bar food, we couldn't believe our good luck to have them as clients. 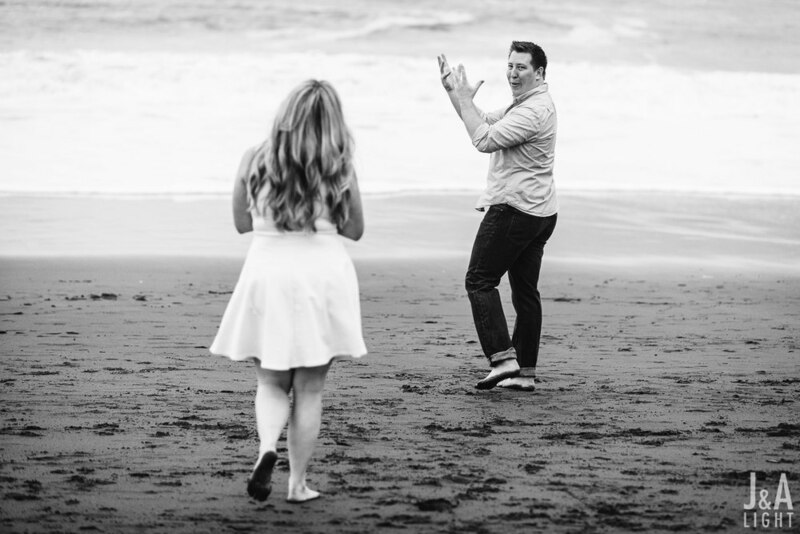 For obvious reasons, we were really looking forward to doing their engagement session planned for the Palace of Fine Arts and Baker Beach; we knew that the warmth that they expressed in dealing with us would surely surface between them, and give us a lot of great stuff on camera. We weren’t wrong. 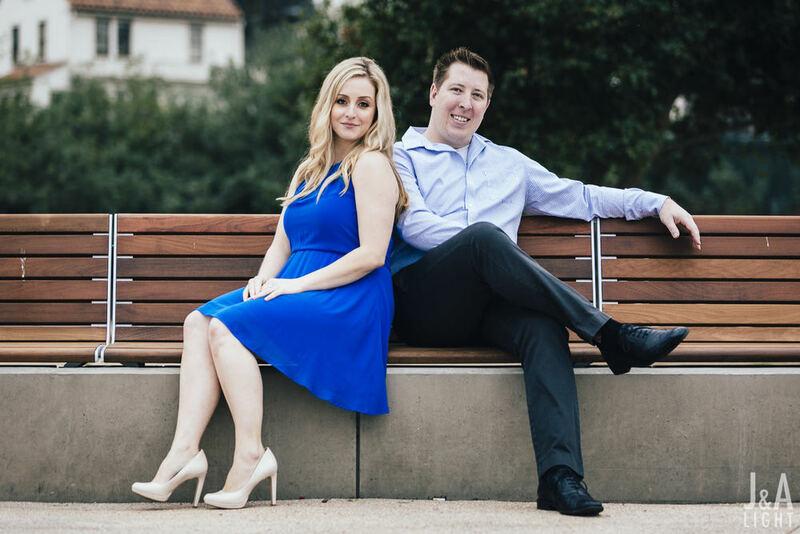 A common refrain of couples is at least a slight discomfort or unfamiliarity with being in front of the camera (“what do I do with my hands!”), but there was really none of that to be had with Shannon and Chris. It just seemed that they knew that if they would let how much they care for eachother guide their interactions, they’d be fine; they were completely correct, and that made it a lot of fun to be behind the camera with them. 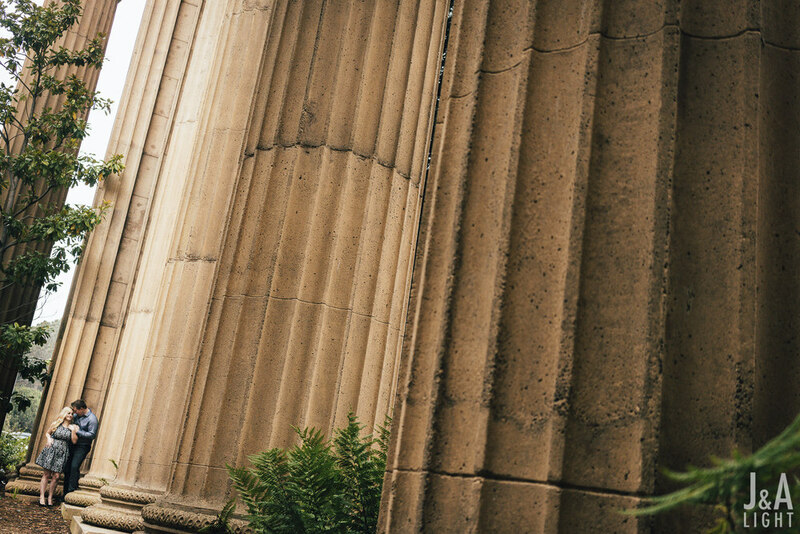 As far as the shoot, we had plenty of soft light from an overcast day; combined with the way the rotunda and associated structures at the Palace of Fine Arts shaped that light made for some fantastic spots of light that looked great on them. 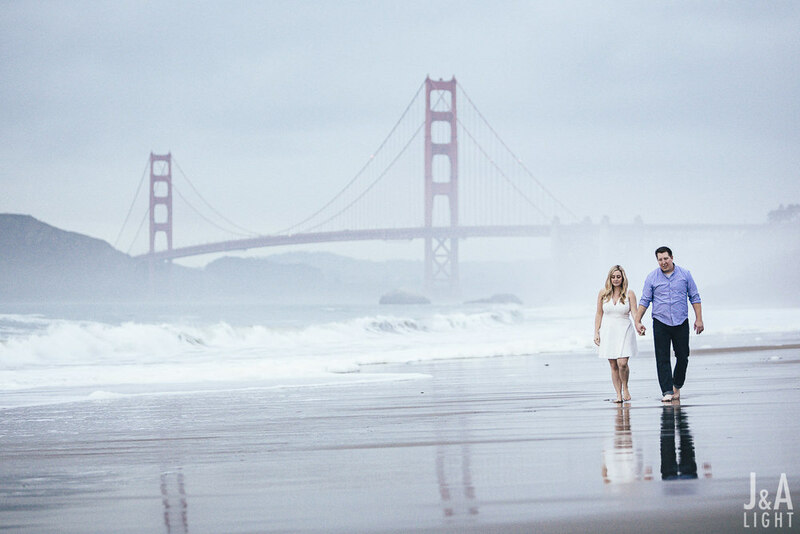 After the Palace, we made quick pit stops around the Golden Gate Bridge and Fort Point, and then started our shoot on Baker Beach, where we were blessed with the sun peaking out just a enough from behind the clouds to kiss our session with a good bit of drama. Let’s just say it, these are just some of the cool kids all grown up and in love. Find spot. Give loose direction about which way to face. Abracadabra, there’s your magic right there in front of you. It’s one of the many reasons that we’re totally amped to be shooting their wedding this coming in July in the Garden State, New Jersey! We’d love to meet the friends and family who shaped these two really beautiful individuals who we found are even better together.